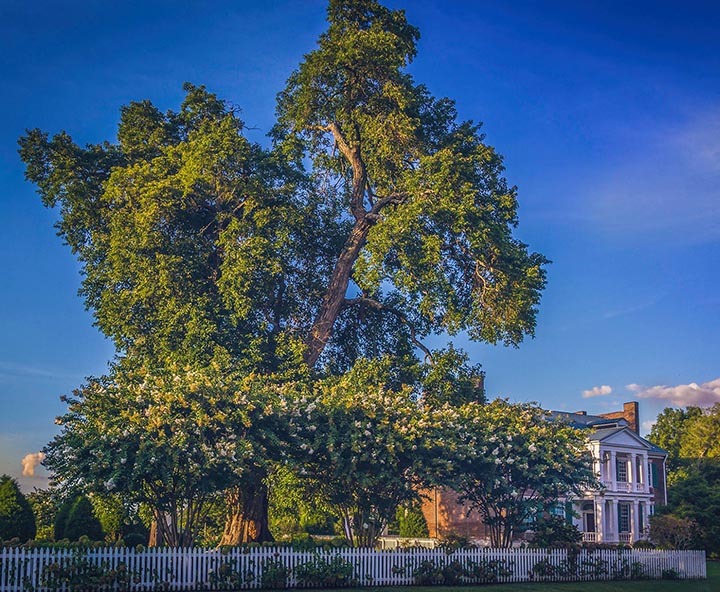 The Carnton House was built in 1826 by former Nashville mayor Randal McGavock on a 1,400-acre plantation south of the city. The garden site at the side of the house featuring the specimen osage orange tree and several cedars was developed in 1847. On November 30, 1864, the Army of Tennessee under the command of Confederate Lieutenant General John Bell Hood slammed into the entrenched Union army under the command of Major General John Scofield at the limits of the town of Franklin. The disastrous battle resulted in the Confederates losing 14 generals, 55 regimental commanders, and almost one-third of their army. The Union army then made its way to Nashville to reinforce that city. The Carnton House stood less than one mile from the major battle front of Franklin and was used during the battle as a Confederate hospital. At one time during the battle the bodies of four Confederate generals were laid on the back porch of the house. 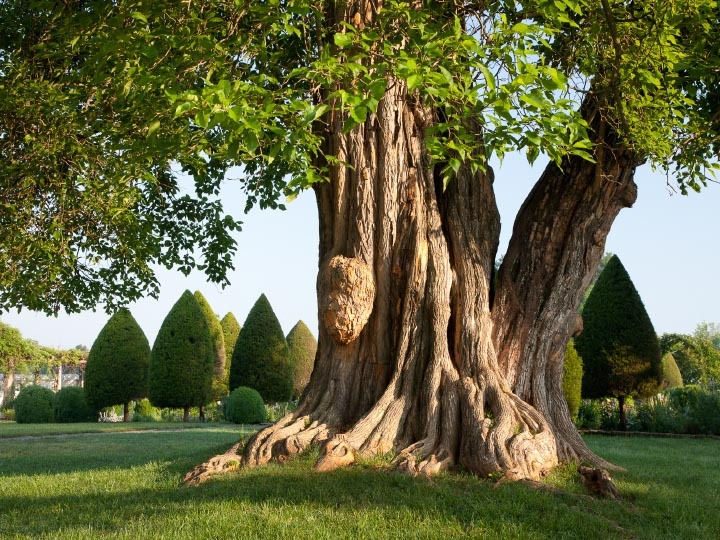 The huge osage orange in the old garden site is just under seven feet in diameter and 90 feet tall.